Hey you all. I HOPE I find you well and today we have HOPE in the house. Yey! this is so amazing. You know, I have so much wanted to interview Hope on her hair journey for quite some time and finally here it is, an exclusive from the owner and founder of HopefulInteriors. Let me admit. I have known Hope for about five years or so and the first time I saw her Fro, I was really taken back. It was so awesome and well taken care of I can say. It was looking really great and right there I knew I also wanted natural healthy hair like hers. She is one of those people who inspired me to go natural and when I was transitioning, I still remember asking her for some tips and didn’t those tips work hey? Anyway without pre-emptying the interview, let’s get on with it. Please tell us a line or two about yourself. How long have you been natural and what triggered the decision to grow natural hair? Started Transitioning in 2007 and it took me a complete 3yrs NO chopping to claim my 101% Afro status from 2010-Now (3yrs) and 6yrs with no Lye Relaxer. What is your secret for such healthy hair? What do you do? Take us through your weekly regimen please! * Use extra virgin olive oil to seal in moisture to my hair after moisturising it. *Shampoo hair as and when build up rather ones every 2 weeks or more. *Use castor oil for my edges twice a day morning and evening. 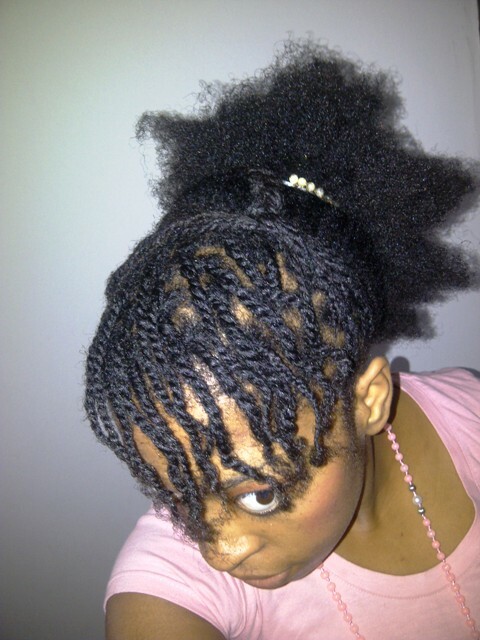 * I always finger comb my hair unless on wash days (where I de-tangle my hair under running water with a Denman brush). 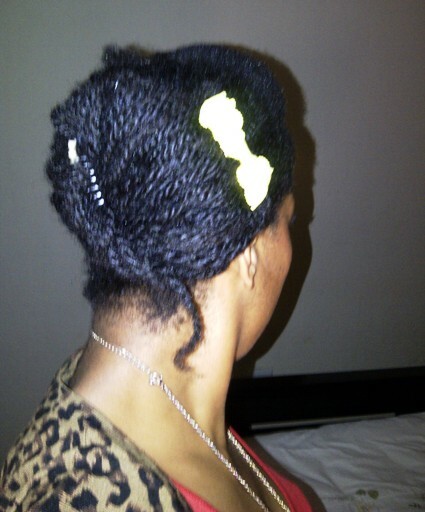 *Last but not least I sleep with a silk scarf…..
Tell us what you like most about natural hair? I love the fact that its ALL mine and the attention I get from everybody mostly that I have healthy, strong and rich hair. 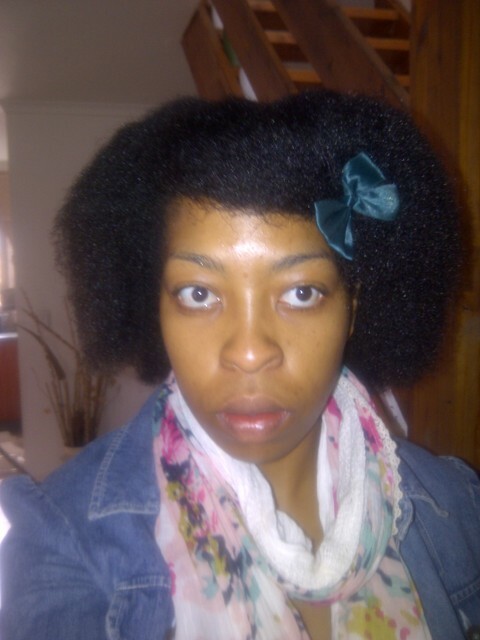 Any challenges in maintaining natural hair? Let us in on them. 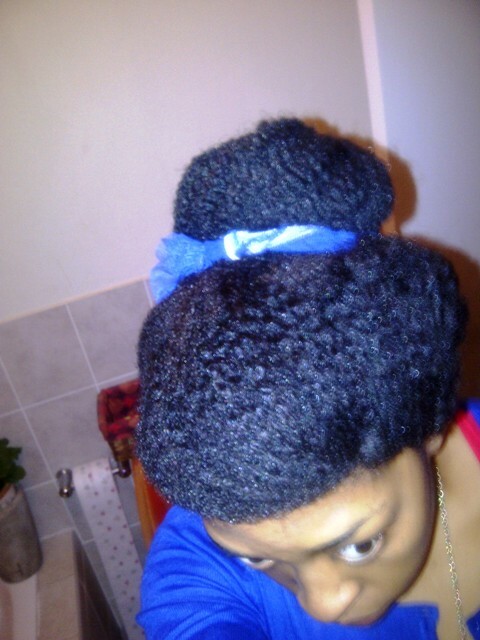 I HATE the Shrinkage and I’m still trying to get a good way of de-tangling so if anyone can assist I’m all ears. What is your favorite hair style and why? Does your profession have compatibility issues with your hairstyles? 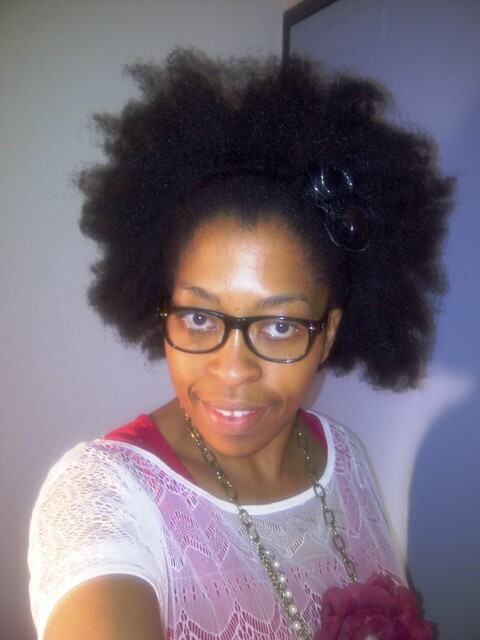 NO not at all in fact my company profile has a pic of me in my BIG fro and so many of my clients have made very nice and positive comments about my hair I guess its a good thing that my profession is a creative one. What is the strangest thing ever said to you about your hair? What are your “must have products”? 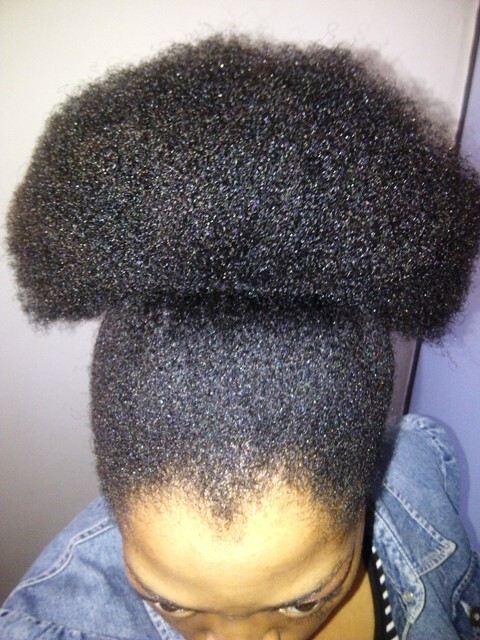 Its a LIE they need to convert to the natural side of things then they’ll see that God made our hair to grow in its special kinda way I mean for use as Afro head we have a shrinkage issue but that is part of the natural hair process just because my hair shrinks when its wet doesn’t mean that it’s NOT long!!! What do you think about applying relaxers to little girls, even from pre-school going age? A BIG NO NO my daughter is Natural and she love her Afro remember our mothers made us hate our AFRO’s and I’m not that kind of MOM! Stay with what works for you, protective styling braids, twists etc helped me get through my transitioning and those moments where your afro is so tinny and get someone with the same hair type as yours on Youtube and follow them…………..
All I can say is Ladies Love and Pray for your Fro’s give them the TLC they deserve and they will grow like you never thought they could. What more can I say? God bless you too my sister and thank you for your time. My Dandruff War. The Real Enemy Exposed.